A Way of Life is winner 'Best Documentary' at the London Lift-Off Film Festival 2015 and will be shown at major cities across the world as part of the Global Lift-Off Network. Kasama & Mashiko are two regions in Japan that produce some of the most unique and sought-after handmade pottery in the world. The potters who create these magnificent works spend decades refining their craft - throwing, moulding, glazing and firing - in the rural countryside. A Way of Life is a short documentary about the skill and passion of eleven such potters, revealing not only their sources of inspiration and determination, but also discovering what exactly pottery means to them. 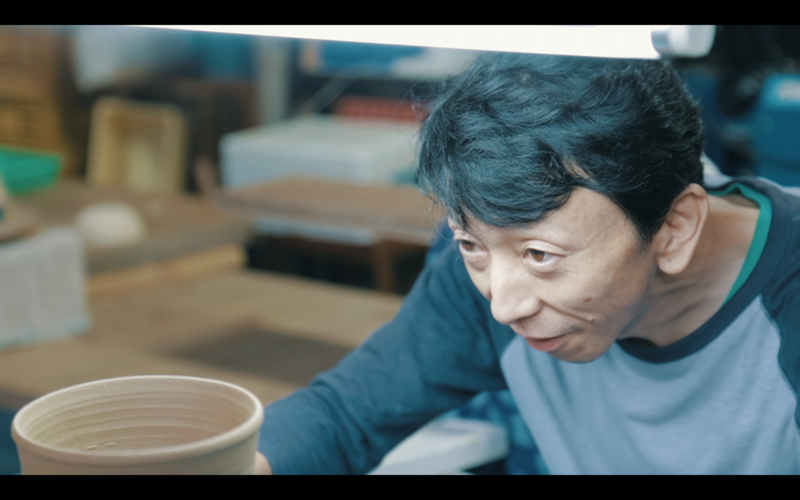 This project is composed of a collaborative effort between two filmmakers – Adrian Lo and Tian Macleod Ji, together with Waka Artisans – an independent gallery in Hong Kong specialising in Japanese pottery. Although we were a small production team, we benefited immensely from drawing together a diverse wealth of technical skills, and were joined together by a deep-rooted yearning to understand the essence of this craft. Throughout the production process, we were lucky enough to witness some true masters working in their element. We were also graced with the rare opportunity to hear from the potters themselves, about their inspiration and philosophy, and also how they manage to strive ahead despite the difficulties that life has thrown at them, such as the earthquake in 2011. This film is not just about what pottery is and how it is made, but far more pertinently, it is a film that gets into the heart of what gives life to pottery. Indeed, pottery is special in that it can be understood as a craft, as an art of expression, or even as a philosophy, but what really defines it lies with an appreciation of the potter’s unwavering devotion to pottery as a way of life. This was a fun one to do. I knew I wanted it to feature strings and I ended up recording myself playing the violin, also adding Japanese instruments like the koto and the shamisen. Unlike A Portrait of Sun Wah Kee, this time there was a greater emphasis on the natural ambience of the locations, for example the humming of the potter's wheel or the choir of cecadas in the forests. I learnt to play to the strengths of these beautiful natural sounds and tried to blend the music subtly to strengthen the narrative.